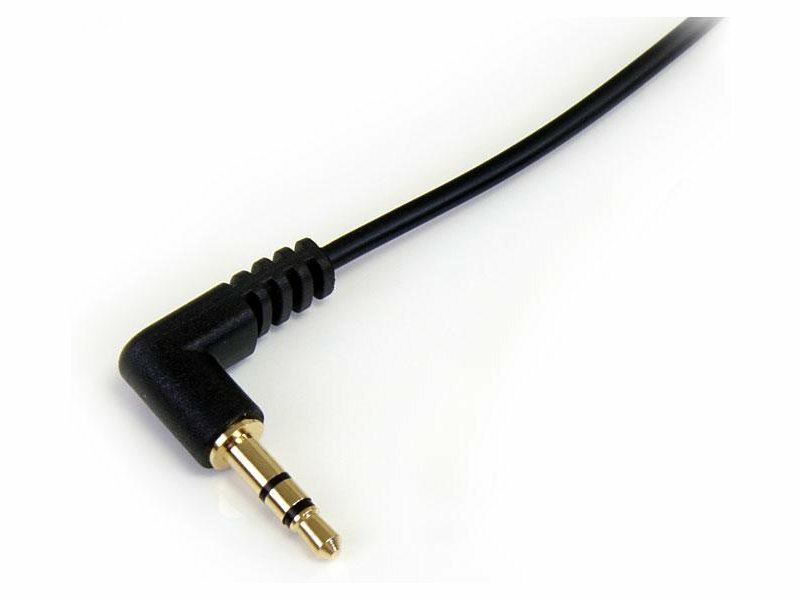 "Easily connect an iPod® or other MP3 player to a car stereo This 1-foot stereo audio cable features one right angle stereo audio connector and one 3.5mm (straight) connector with a slim connector molding that makes this the perfect solution for portable audio devices (iPod®, iPhone®,iPad®, MP3 Players), even if the device is in a protective case. 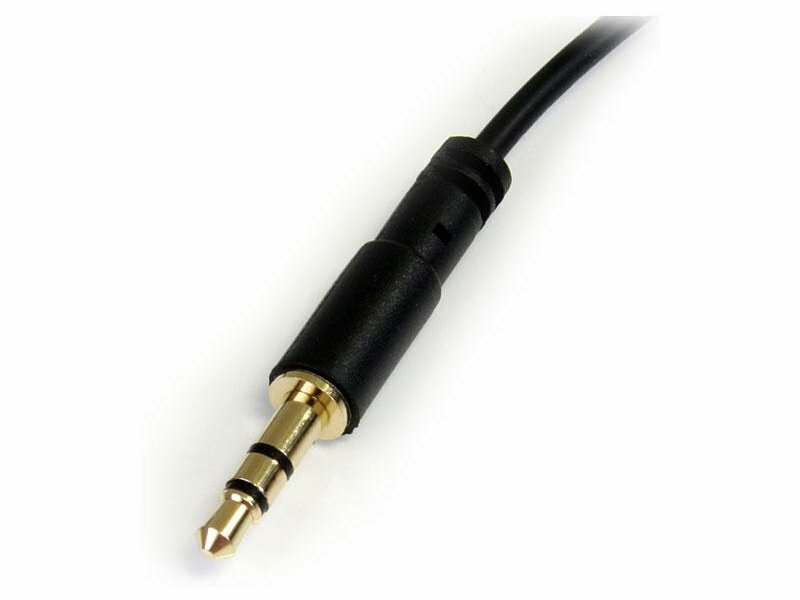 For those difficult to reach areas, our 3.5mm stereo audio to 3.5mm right angle cable allows you to connect where a normal straight stereo audio connector cannot. Like all StarTech.com cables, this 1-foot 3.5mm Slim Stereo Audio Cable is backed by our Lifetime Warranty, providing guaranteed quality and reliability." 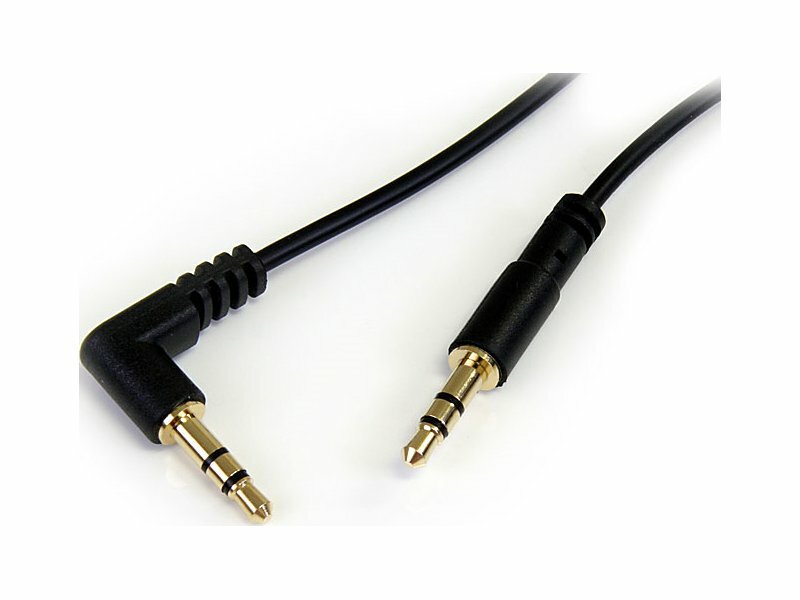 " * Unique slim connector design fits most iPod and iPhone 3.5mm stereo jacks without having to remove the protective casing * Gold-plated, molded connectors with strain relief ensures a solid, high quality connection between the connected devices * Right angle connector allows you to easily connect to tight spaces and hard to reach areas where a normal straight connector cannot"